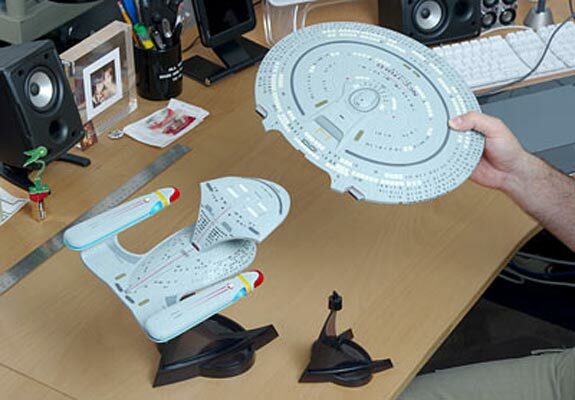 Here is a fun geeky toy for all the Star Trek fans out there, the Star Trek Enterprise 1701-D replica. This fun Star Trek toy is a replica of the Enterprise from Star Trek The Next Generation and it comes with built in authentic sound effects and command phrases. Authentic sound effects and command phrases. Light up warp engines, bridge, impulse engines, and deflector dish. Separating saucer section (connects to rest of ship with powerful magnets). Includes: Enterprise and two stands. 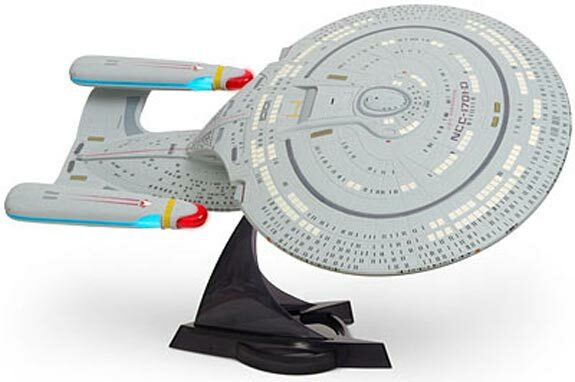 The Star Trek Enterprise 1701-D is available for $49.99 from Think Geek .